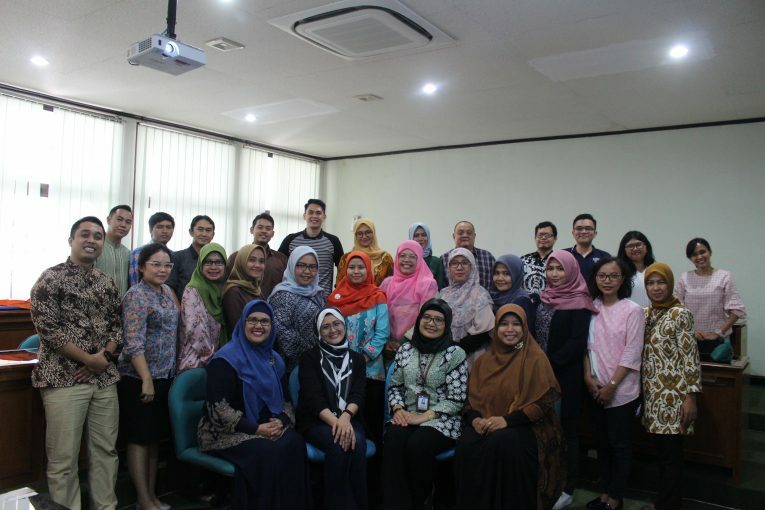 Universitas Gadjah Mada represented by Master of Science and Doctoral Program Faculty of Economics and Business Universitas Gadjah Mada (MD FEB UGM) held the last series of Transferable Skills Training for Researchers. The program is a series of collaboration partnerships between the Research Performance at South East Asian Universities (REPESEA) supported by Erasmus+ through Capacity Building in Higher Education for the assessment and improvement of the research performance of consortium members. Carrying the theme “Critical Thinking, Digital Technology Skills for Research, and Effective Teaching Methods”, the training took place with a full day system for five days, which was April 8-12 2019. Haliyana Khalid, Ph.D from Universiti Teknologi Malaysia, trainer for this training, began the session by explaining the general overview of the activities to 40 participants who attended. Topics carried out regarding the use of technology and critical thinking on research and academic careers. Given the rapid development of global technology, the impact is felt on changes in the field of research and academics. Technology massively changes the learning process in the education sector, changes occur also in the field of institutional administration and even technology enables research to be more effective through the use of data analysis software. Technology enables the development of critical thinking skills. Various media such as “whatsapp” communication tools and TED talk videos are used as learning tools. Some research papers are difficult to understand, but sometimes through graphic video media can be more easily understood. The learning method used by Dr. Haliyana is a lecture and in-class excercise with the concept of a student center learning using group and personal assignments. Some class activities using technology in this training are in the form of Gamification, mind mapping arguments such as K-Chart (knowledge chart), online survey forms, infographics media, videos, and creating personal websites or blogs. Media technology is a means to motivate participants to engage to the class and actively participate in each session. Gamification is possible to be used in problem-based learning such as using Kahoot games. Other than that, mind mapping arguments develops critical thinking skills by conceptualizing ideas and arguments on the main point chart. The use of online survey forms, for example, is one of the advantages of using technology that encourages research in terms of data collection. Nevertheless, it must be realized that there are also some challenges in using technology such as; i) the need for infrastructure that allows fast connections; ii) increasing digital literas for researchers and academics; iii) participants in the class will get various information, so that the teacher must be able to provide a filter on the use of information; iv) use of videos in the context of knowledge transfer; v) it is possible to always think creatively; vi) privacy of internet users in accessing big data. At the end of the training session, Dr. Haliyana gave award prizes for groups and individuals who successfully participated in each assignment during the training. Several categories of groups and individuals receive prizes based on the assessment sheet prepared by Mrs. Haliyana during training. Besides, Dr. Haliyana advised the participants to develop the skills they had received from the training, a website or personal blog specifically delivered could be useful for work as researchers and academics to develop digital literacy.